Thousands of people are likely to lose their jobs if President Trump phases out an Obama-era policy that protects undocumented immigrants brought to the U.S. as children from being deported. That's according to a new study released Tuesday by the Center for American Progress, a left-leaning think tank; and FWD.us, an immigration reform group started by Facebook (FB) CEO Mark Zuckerberg and other tech leaders. The organizations are working to highlight the economic impact of the Deferred Action for Childhood Arrivals program as Trump weighs whether to discontinue it. He could make a decision as early as this week. "People are going to lose their jobs," FWD.us President Todd Schulte said on a call with reporters. "That is going to feel unique. That is going to feel painful." Enacted in 2012, DACA allows undocumented immigrants who are younger than 30 and arrived in the country as children -- commonly referred to as "Dreamers" -- to live, work and attend school in the U.S. for a period of two years, subject to renewaI. It doesn't confer citizenship or establish permanent legal status. The future of the program, which has nearly 800,000 recipients, is unclear. Trump was tough on DACA on the campaign trail, but hasn't touched the program since taking office. Now, he is said to be weighing two options that could slowly kill the program by declining to issue or renew any permits moving forward. Sunsetting DACA would have major ramifications for the nation's economy, according to the CAP and FWD.us report. As work authorizations provided by DACA expire, beneficiaries of the program won't be able to keep their jobs, the study found. An average of 30,000 people will be out of work each month if DACA is repealed, it said. "For every business day that DACA renewals are put on hold, more than 1,400 DACA recipients will lose their ability to work and could be let go by American employers," the report said. That would put significant pressure on employers to fill holes in their workforce. 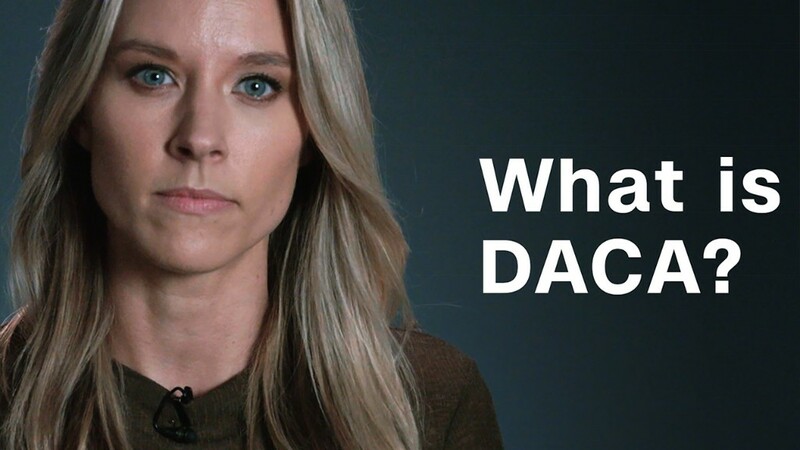 "Using the most conservative estimates, ending DACA would impose massive costs on employers -- nearly $2 billion over two years," said David Bier, a policy analyst with the libertarian Cato Institute who was also on the call with reporters. Many firms may be unaware that they employ DACA recipients, as the paperwork looks similar to what's issued for many other visa categories, according to the study's authors. In January, the Cato Institute -- which promotes limited government -- estimated that terminating DACA and immediately deporting those enrolled in the program would cost the federal government $60 billion, and would reduce economic growth by $280 billion in the next 10 years. "The deportation of DACA participants would cost the American economy billions of dollars, as well as billions of tax dollars foregone, while doing little to address the true concerns that Americans may have about unauthorized immigrants," Cato visiting fellow Ike Brannon and his co-researcher said in a blog post. Ignacia Rodriguez, an immigration policy advocate with the National Immigration Law Center, said the effects of a DACA rollback would be felt in almost every sector of the economy. It's worth watching what happens at hospitals in particular, she said. DACA recipients who are pursuing careers in medicine won't be able to staff their shifts if they aren't authorized to work. "It's harder for them to stay on in their occupations," she said. "I expect you'll hear immediately from medical students and those doing their residencies." Trump has until September 5 make a decision on what to do with DACA. Ten state attorney generals have said they'll challenge the program in court if the president doesn't make the call to sunset it by that date. -- CNN's Tal Kopan, Laura Jarrett and Jim Acosta contributed to this report. Are you a current DACA recipient who would be affected by the policy's repeal? CNNMoney wants to hear from you. Email the author of this article at julia.horowitz@turner.com.